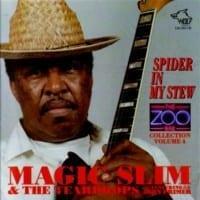 Magic Slim is simply the greatest living proponent of the intense, electrified, Mississippi-to-Chicago blues style that spawned much of the music played by modern blues artists and rockers. 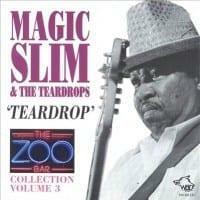 Featuring Slim’s trademark slash and burn guitar and booming vocals, this definitive, budget-priced collection includes some of the finest moments in his eighteen year relationship with Blind Pig. This is no-frills, unapologetic, straight-no-chaser blues for the ages from a true national treasure. 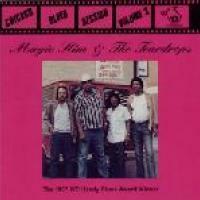 A “must-have” CD for any serious blues fan! 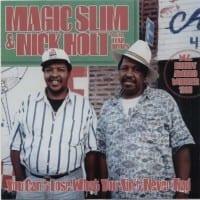 Magic Slim's only compilation from his most fruitful years on the well distributed and regarded Blind Pig label covers the period from 1990's Gravel Road through 2005's Anything Can Happen live set. That's six albums of material whittled down to 15 tracks yielding about an hour's worth of music. Since the guitarist rather doggedly stayed locked in the same style of gutsy electric Chicago blues, the 15-year time span doesn't hamper this disc's flow. 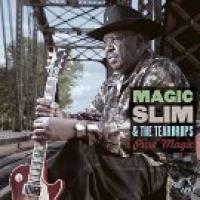 Slim's vocals became more gruff and weathered through the years, but his meat and potatoes approach pretty much stayed locked in the medium tempo shuffles and slow blues that defined the genre after Muddy Waters and his crew plugged in. While that infers a somewhat monotonous product, Slim infuses enough energy and sweat into his rather pedestrian material to raise the level of the results beyond simply professional to often inspired. A modified country side road on the instrumental/surfy title track of Black Tornado and a savvy, non-chronological sequencing by the compilers keep the music flowing without sounding as repetitious as it is. Covers of Bo Diddley ("Before You Accuse Me"), Mack Rice (the eternal crowd pleaser "Mustang Sally"), and especially Howlin' Wolf (a tough, roaring "How Many More Years") also keep the album from getting locked into any particular style. 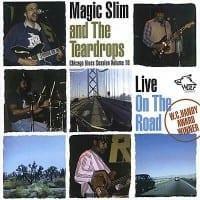 While this music resonates most effectively in front of a raucous crowd in the type of beer stained blues joints that Slim calls his home, this album of studio highlights (and one live track) provides sufficient proof of the guitarist's abilities. 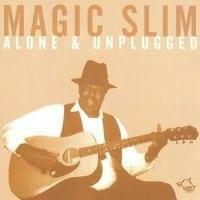 Slim's obviously a journeyman whose intent is to keep the fires fanned on his electric Chicago blues roots. Judging by this set, he has succeeded where others with similarly good intentions come up short. 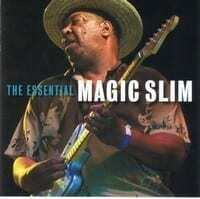 "The Essential Magic Slim is one "best of" collection that lives up to its title and Blind Pig has done a stellar job picking out a balanced mix of album highlights and fan favorites, creating a rock solid collection of some of Slim's toughest, most sincere performances. 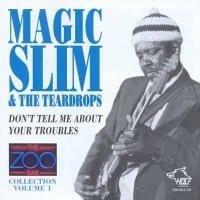 Whether you're new to Magic Slim, or a long-time fan, this is an excellent way to get acquainted with his music, or to reacquaint yourself with some of the finest moments of the past 18 years, all in one definitive collection"
"Nobody cooks up a tougher meat-and-potatoes shuffle than Magic Slim. 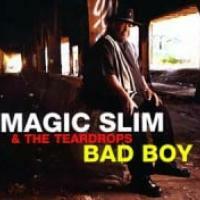 The towering guitarist has done some of his best recent work for Blind Pig Records, so the growling bite of the label's 15-track The Essential Magic Slim comes as no surprise." Track Listing: 1. You Don’t Have to Go – 5:27 2. See What You’re Doin’ to Me – 4:12 3…. Track Listing: 1. Love Somebody – 6:18 2. Gold Tailed Bird – 9:04 3. Honest I Do – 5:52 4…. Track Listing: 1. Mama Talk To Your Daughter – 4:11 2. Bad Avenue – 6:11 3. Gambler – 4:22 4….